Fortnite’s player base is continually growing as we speak. When I first played it (Day-0), I wasn’t impressed, but now there’s a lot to be appreciated. Of course, being a free-to-play game readily encourages new players to jump in. However, the quality updates that the game has been receiving is yet another reason as to why the game is popular. A few hours ago, an update of 2.71 GB (v3.5 for PC) landed with a lot of improvements while introducing some new features. 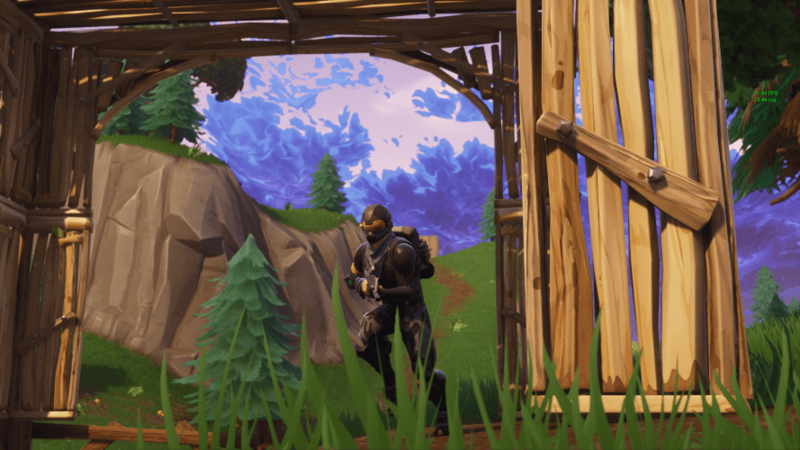 Where To Find The Replay Option In Fortnite’s Battle Royale? Help tell your story better with player outlines and nameplates. Drone style camera that always keeps the selected player in the frame. Each team has a bus, approaching the island from opposite directions. On the map, the friendly bus has a blue outline, an enemy has red. Final storm circle visible on the minimap at the start. Farming resources increased 75% over the default. You may want to look at the detailed patch notes to check for the bug fixes and other adjustments. 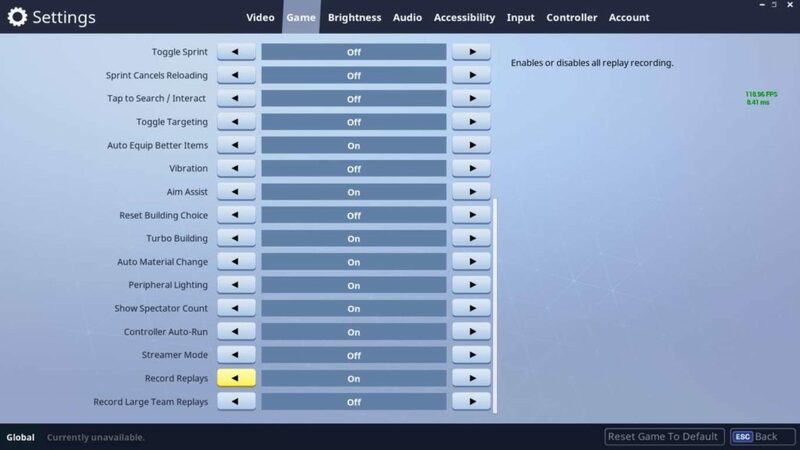 The main highlight of the update apart from the “Port-a-fort” throwable is the “Replay” functionality. The replay doesn’t take much space on your hard drive (or the SSD). For me, it was merely 1-4 MB in size while I had the 1080p resolution gameplay with EPIC visual quality in action. When you reel into the replay, you will find a lot of options to encounter a cinematic experience of your gameplay. Well, it is something similar to Nvidia’s Ansel, but you don’t get the option to capture a picture natively. You would have to utilize Nvidia’s screenshot ability to capture your favorite moment. When I fired up my replay, I was amazed how great it looked! Now that the Leaderboards option from the menu bar is gone, you will find a “Career” option. 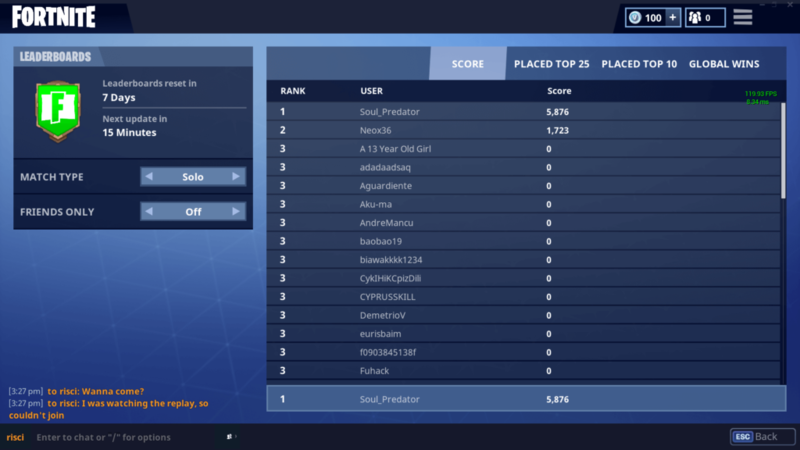 When you head into that, you will see options for an overview of your profile, check replays, and check the leaderboards. It seems to be active after the update, but I’m not sure whether it is accurately tracking the positions/scores or not. You can even adjust the exposure, focal length, and toggle the auto-focus feature. I’ve had a few hours into the game (after the new update), and I haven’t yet encountered a bug that needs to be addressed. Although I didn’t get the port-a-fort impact, the replay feature was worth appreciating. The update fixed a lot of pesky bugs and improved a lot of things that the players suggested. So, it’s an update which addresses quite a lot of improvements and introduces some new features as well. Did you try the game after the recent update? Excited about the 50v50 event? Let me know your thoughts in the comments below. 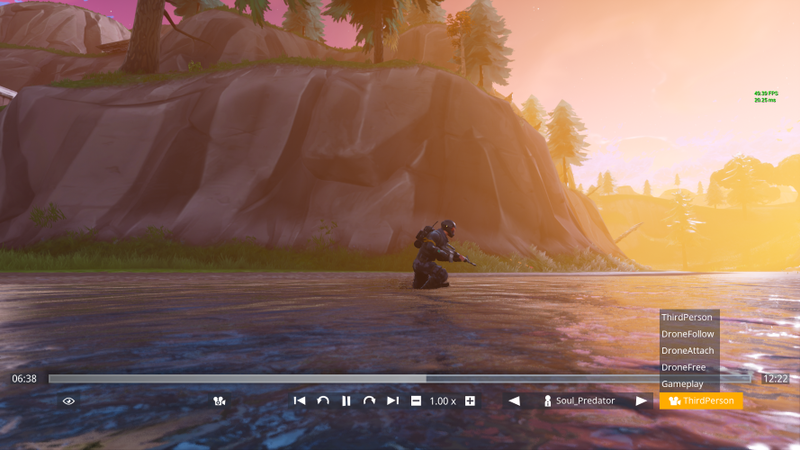 Also, if you dive into the replay mode to capture some fantastic shots, do share that in the comments down below!